Young kids love emulating mom and dad, and with Munchkin's toddler Multi Forks and Spoons, they can be just like their favorite grownups at the dinner table. 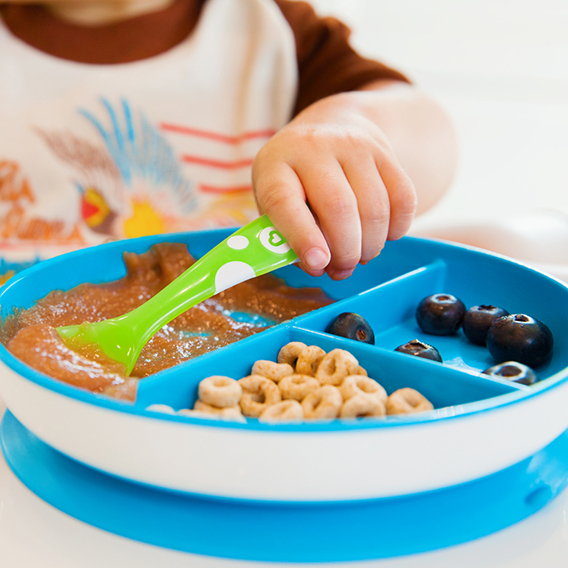 The pack includes 3 forks and 3 spoons that are designed to aid self-feeding. The large curved handles are designed to make scooping easier.